Finally! 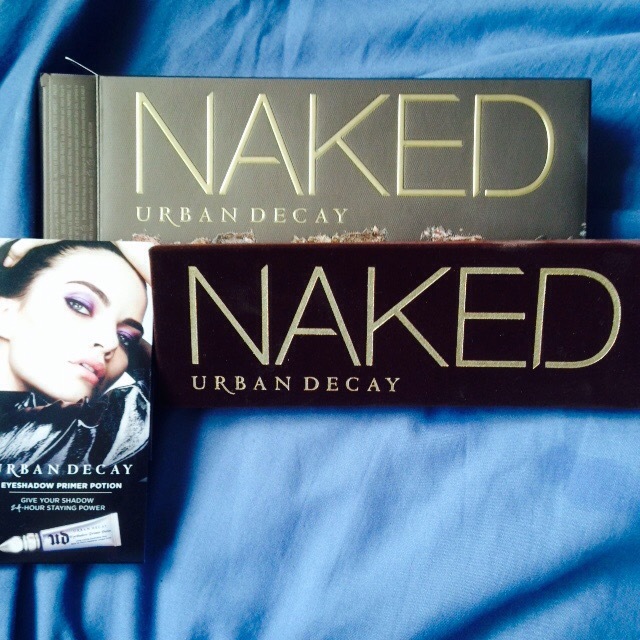 It’s here…after all that waiting I’ve FINALLY got my Naked Pallete! I have used this about 5 times now and it is just incredible. So, let’s get down to business! I know there are mixed reviews on the original packaging and many people prefer the 2 & 3 pallete packaging but personally, I love the velvet look and feel of the original! It’s different, not your usual tin or plastic casing. Also, I got a packet of free primer potion! There is 4 shades; original, Eden , Sin and Anti ageing. I thought that was a really nice touch and stopped me breaking into my primer potion for a while! It also comes with a double ended brush. One for lining and the other for applying and smudging, both brilliant! Sin. A light champagne pink and on the frosty side. Naked. The first matte shade…a gorgeous base colour. A little chalky but matte colours usually are. Sidecar. Weird name right? But this is a more gold pink and slightly more shimmery. Buck. The second matte colour. I personally love this in the crease, but again, a little chalky. Half Baked. I lovelovelove this! Such a gorgeous gold shimmer, so pigmented. Smog. A copper frosty color, also amazing in the crease. Dark horse. 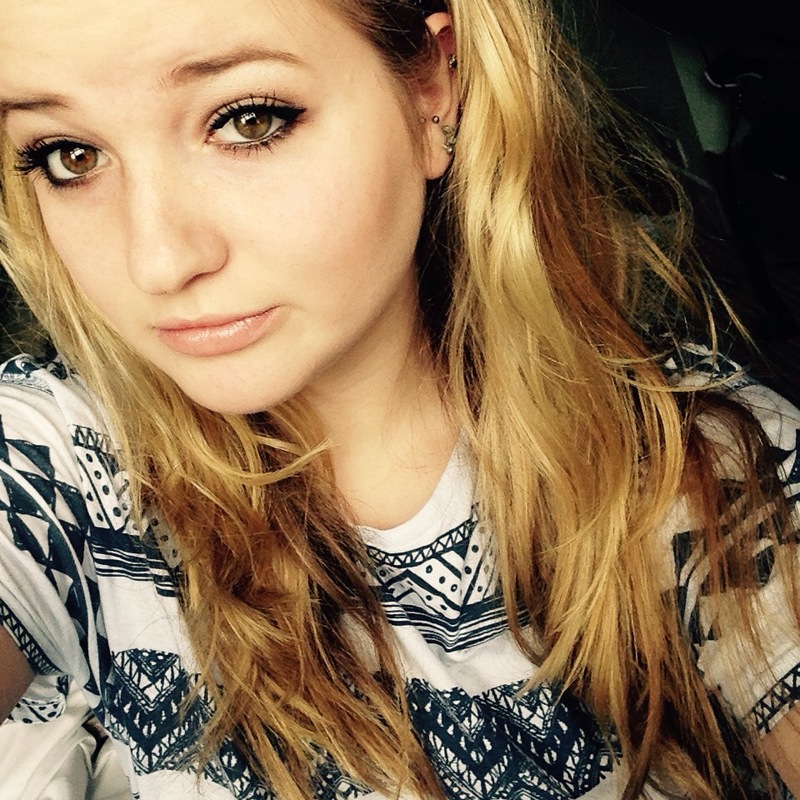 I like this as a liner. It’s a little frosty too but not too much. Toasted. A dark pink/purple colour. I find this a little tricky to blend but the colour pay off is lovely on the lid. Hustle. To me it looks a little plummy in color. But when on the lid it’s a smokey brown, great for lining! Creep. Not a black not a blue….a bit of an odd one actually but when blended, creates a gorgeous smokey eye. Gunmetal. I love the name for this! It’s a grey shade with bigger chunks of glitter on, although when applied it doesn’t show through that much. Sorry about the weird angle! All the colours are super pigmented and have super staying power along with the primer. So, so worth the money! I believe it’s about £40 or a little less. This will last me an absolute life time so I would much rather pay for quality. Using Halfbaked, Buck, Virgin and Smog. Using Buck, Virgin, Toasted, Sin and Darkhorse. 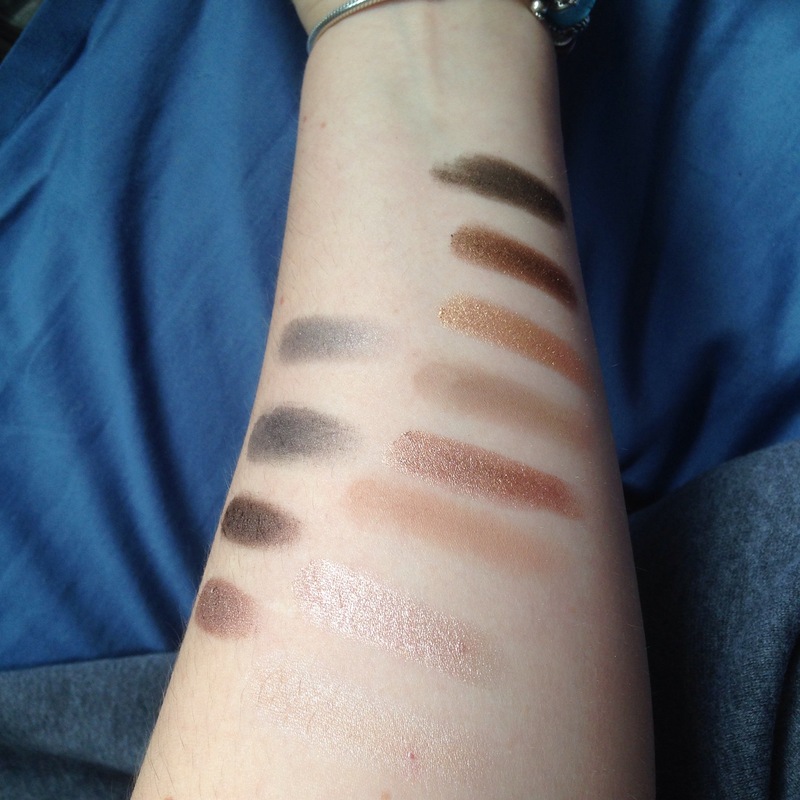 I got the naked 3 palette and was really torn between 1 and 2 when buying them. I want to just collect them all! One step at a time. Haha. The best seller from what i know is naked 2. 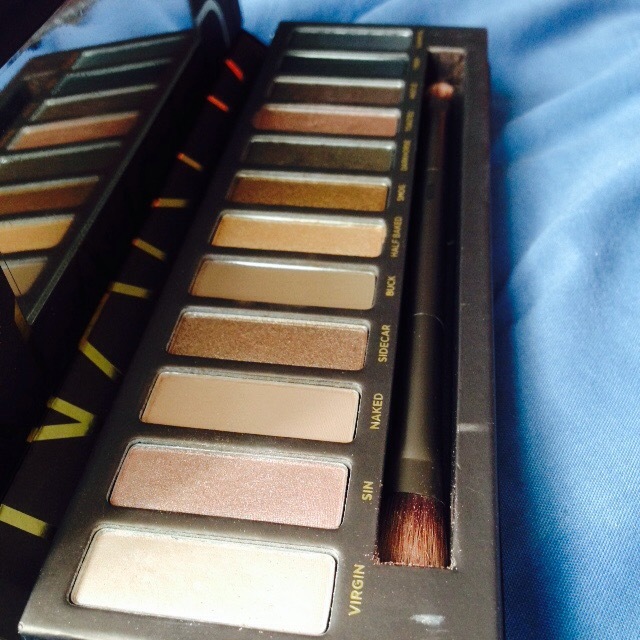 I dont have the complete palette but i have naked 2 basic which is what im using to fill in my eyebrows. AMAZING review! I like how you added looks too, I want the UD naked 3 palette, I have this whole love for pink and rose colors right now and these are the holy grail of eyeshadows on trend.